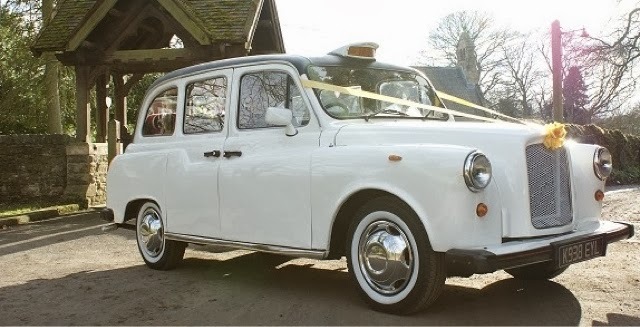 The Austin FX4 taxi was a mainstay of city life for years, but it's rapidly disappearing off our roads, due to old age. Before they're all gone, here are some interesting variations, you might never have seen. 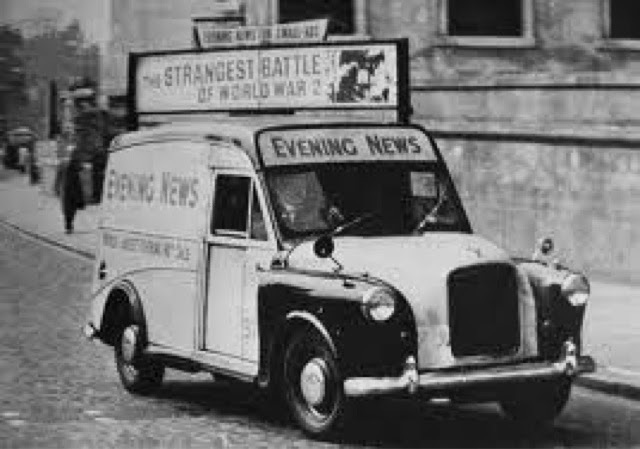 For a while in the 1960s, they found favour with the publishers of the London Evening News as the basis for a newspaper delivery van, with the super-tight turning circle being particularly appealing. Later, the Birmingham-based Austin dealership and conversion specialists Startins offered an FL2-based hearse in limited numbers. 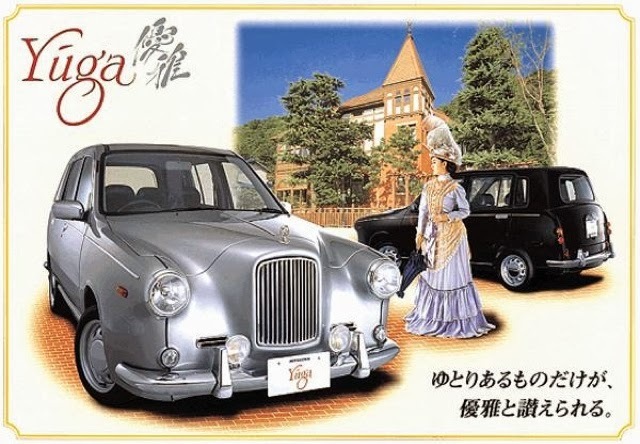 Below, you can take a look at some of the other conversions carried out on these models, plus an extraordinary pastiche model produced by a specialist Japanese manufacturer. Armenian petroleum magnet and socialite. and more distinguished outside, without losing its mobility. Nubar Gulbenkian – odd name, and an even odder taste in cars. 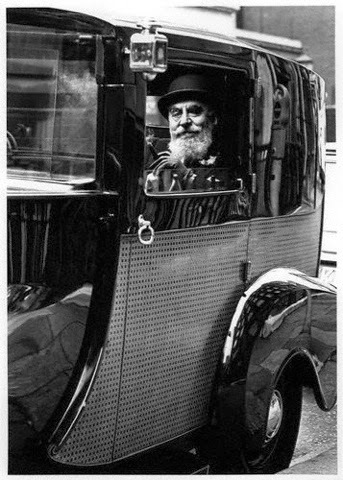 Usually described simply as an 'eccentric millionnaire', Mr Gulbenkian made his money in oil, and had a particular penchant for the London taxi, taking delight in reciting the well-rehearsed line: 'It turns on a sixpence, whatever that is!' to anyone who’d listen. However, far from slumming it in a bog standard model, he used a relatively small amount of his vast wealth to have his own eclectic design of bodywork applied to the car. 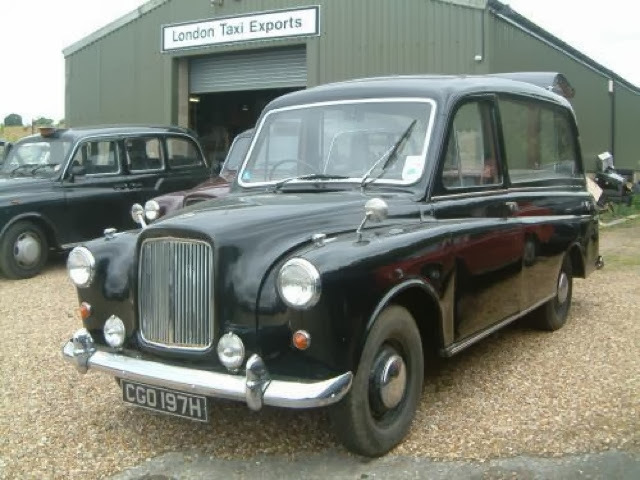 The result can be seen above, this being one of two FX4s he had converted by Battersea-based coachbuilders FLM Panelcraft Ltd (who also worked with Crayford on the BMC 1100 estate and P6 Estoura). 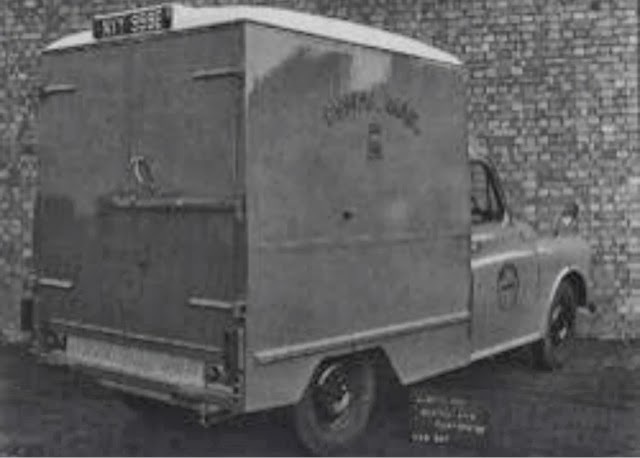 This boxy FL2-based mail van underwent trials with the Post Office at the beginning of 1967, to see whether the car’s much-vaunted turning circle would make it a worthwhile basis for a delivery vehicle. It seems the idea was scuppered by the van’s tall rear bodywork, which while offering an impressive 200cu ft load capacity, was found to make the van unstable when fully loaded. Needless to say, it was consequently not adopted for service. Bedfordshire-based taxi specialists London Taxi Exports offered this stylish laundalette as an after-market conversion. Externally, the well-integrated black 'Everflex' roof was set off by chrome bumpers (where available) and side trims, alloy-look wheel trims and a specially-designed front grille. Inside, features for the driver include power steering, an Italian wood-rim steering wheel and an RDS radio, while rear passenger compartment benefited from re-upholstered seats, special side trimming and new carpets. 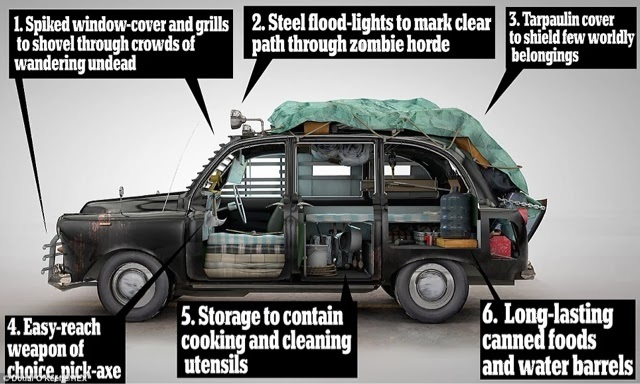 London Taxi Exports also offered a range of other conversions, including a cabriolet (which retained the rear side windows and framework); a delivery van, with twin rear doors; and a ten-light stretch-limo, longer than either of the semi-official versions featured below. The general design of the FX4/FL2, with the emphasis placed on space for the rear-seat passengers, readily lent itself to use as a limousine. During the 1970s, following the introduction of legislation which all-but killed the market for the FL2 as a hire car, Carbodies and Mann & Overton decided to market the model as a limousine, and in the mid-1980s Carbodies introduced the London Sterling limousine to the US market, but both those versions used the standard wheelbase and bodywork. Here we take a look at a couple of attempts to provide a limousine with even more space. Tickford and Carbodies had been rival coachbuilders since the 1930s, but in the mid-1980s they collaborated to produce this one-off long wheelbase FL2-based limousine. With the extra length achieved by the fairly simple expedient of inserting a windowed fillet panel between the front and rear doors, the extra space liberated in the rear compartment was quite remarkable. Fitted out with a couple of walnut-veneered cabinets – housing the obligatory cocktail set, sound system, TV and video player – there was still generous accommodation for four passengers, with the seats set facing each other. Sacrificing the cocktail cabinet would have allowed five to be carried, while also fitting an extra rearward-facing seat in place of the entertainment cabinet would have increased the passenger count to six. In 1986, Carbodies commissioned this conversion from coachbuilders Woodall Nicholson (also responsible for building the Maxi-based Aquila) to see whether it might provide entry to a new market niche. The conversion – handled by WN’s limousine-and-hearse division, Coleman Milne – involved rehanging the rear doors so that they were forward-hinged, and then adding a further pair of forward-hinged doors, as well installing an extra row of seats in the retrimmed rear compartment. The car gained some exposure ferrying special guests to and from the 1986 British Motor Show but no further examples were built, presumably due to the high costs involved in comparison to the production cars which Coleman Milne were used to converting. It has to be said despite the extra length of this car over the Tickford conversion – and indeed, its extra doors – the Coleman Milne’s rear compartment looks rather cramped and uninviting by comparison. 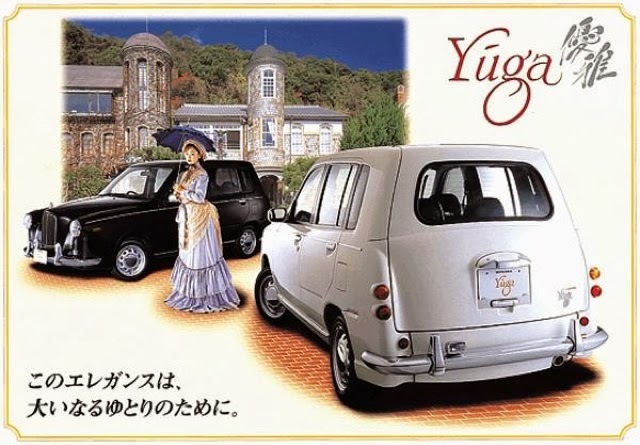 When production of the Yœga ceased, Mitsuoka became the official Japanese importer and distributor for the TX1′s replacement, the TXII, which used the Ford DuraTorq engine in place of TX1′s Nissan unit. From the imagination of London based designer Donald O Keeffe with his love of horror films.